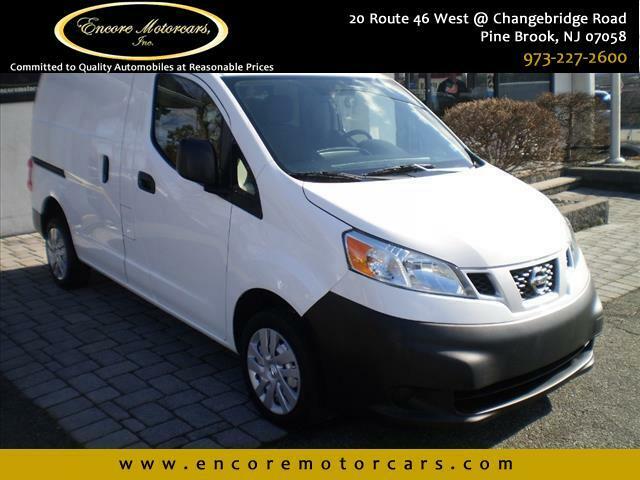 Used 2018 Nissan NV200 S for Sale in Pine Brook NJ 07058 Encore Motorcars Inc.
CLEAN AUTOCHECK HISTORY REPORT! FACTORY WARRANTY! ONE OWNER! This 2018 Nissan NV 200 S is equipped with a 2.0L I4 engine with an automatic transmission. This CLEAN Compact Cargo Van is loaded with features such as back-up camera, rear divider, rear rubber mat, traction control, side airbags, power windows/doors, USB & AUX plugs and more! Why do we sell 25-35 vans per month? Trust and reputation is the #1 reason. All of our vans are fully reconditioned and ready to go with everything included in the price, except tax, tags, and doc. NO games. Repeats and referrals are the #2 reason. Once you buy a vehicle from us, you will want everyone you know to have the same great experience. The #3 reason is our fair pricing. We offer bank financing which will be handled by your sales professional and not someone else who tries to up your price by selling you everything under the sun. The price you see is the price you pay (or less). Shop around then come in and browse our INCREDIBLE SELECTION which includes 1/2 TON, 3/4 TON EXTENDED LENGTH and REGULAR LENGTH FORD and CHEVROLET VANS at prices that are hard to beat! We carry SINGLE and DUAL REAR WHEEL BOX TRUCKS and NISSAN NV HI-TOP CARGOS ready to go. We carry SMALLER CARGO vans for smaller applications and passenger vans to carry people. Do a comparison TEST DRIVE to see which is the best van for your business! Our knowledgeable sales staff is eager to make you a proud owner of the VEHICLE YOU NEED! Message: Thought you might be interested in this 2018 Nissan NV200.